People living with IBS often feel that others don’t understand the impact the condition has on their quality of life and how challenging it can be to manage a whole slew of symptoms. Most people think that suffering from IBS means having to deal with occasional gas and diarrhea. In reality, IBS symptoms can vary in intensity and include diarrhea, constipation, cramps, bloating, gas and nausea. In addition, there is no magic pill that alleviates symptoms, and most IBS sufferers have to try various treatments in order to manage their condition. 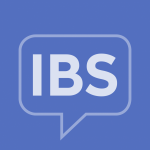 We conducted a large survey of people who have IBS, and asked many questions about what it is like living with an illness that is so complicated to manage. Here are some of the highlights from what we heard from the community. Curious to learn more? View more results from the 2016 IBS In America survey.